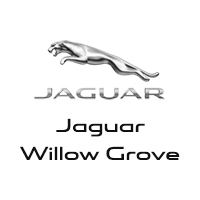 There’s no need to compromise on quality when you drive home in a used car from Jaguar Willow Grove. We have plenty of used Jaguar vehicles in stock, non-Jaguar used vehicles, and a rotating selection of used vehicle exclusive offers. After you’ve perused our used inventory online, make your way to our dealership in Willow Grove for a closer look! For more information please look at our Auto iPacket... it really has so much information on the exact equipment on the one you're looking at. Call or email us for any further questions about an unit.. Just give us the stock number when you call  610.436.0600.Bluetooth / Handsfree Calling, Adaptive Xenon Headlights w/LED Signature, Auto High Beam Assist, Blind Spot Monitor w/Close Vehicle Sensing, Chrome Wheel Locks, Cold Climate Package, Emergency Braking, Front & Rear AWD Rubber Mats, Front & Rear Parking Aids, Front Window Sunshade, Headlight Washers, Heated Front Seats, Heated Front Windshield, Heated Washer Jets, Jaguar License Plate Frame, Navigation System, Protection Package, Reverse Traffic Detection, Vision Assist Package, Wheel Lock Package.Odometer is 1233 miles below market average!Clean CARFAX.Black 2018 Jaguar XE 25t PremiumFor more information please look at our Auto iPacket... it really has so much information or exactly the equipment on every car. Call or email us for any further questions about an unit.. Just give us the stock number when you call  610.436.0600. For more information please look at our Auto iPacket... it really has so much information on the exact equipment on the one you're looking at. Call or email us for any further questions about an unit.. Just give us the stock number when you call  610.436.0600.Bluetooth / Handsfree Calling, Adaptive Xenon Headlights w/LED Signature, Auto High Beam Assist, Blind Spot Monitor w/Close Vehicle Sensing, Cold Climate Package, Emergency Braking, Front & Rear Parking Aids, Headlight Washers, Heated Front Seats, Heated Front Windshield, Heated Washer Jets, Navigation System, Reverse Traffic Detection, Vision Assist Package, Wheels: 18 6 Spoke (Style 6006).Odometer is 2434 miles below market average!Clean CARFAX.Fuji White 2018 Jaguar XE 25t PremiumFor more information please look at our Auto iPacket... it really has so much information or exactly the equipment on every car. Call or email us for any further questions about an unit.. Just give us the stock number when you call  610.436.0600. For more information please look at our Auto iPacket... it really has so much information on the exact equipment on the one you're looking at. Call or email us for any further questions about an unit.. Just give us the stock number when you call  610.436.0600.Bluetooth / Handsfree Calling, Adaptive Xenon Headlights w/LED Signature, Auto High Beam Assist, Blind Spot Monitor w/Close Vehicle Sensing, Cold Climate Package, Emergency Braking, Front & Rear Parking Aids, Headlight Washers, Heated Front Seats, Heated Front Windshield, Heated Washer Jets, Navigation System, Reverse Traffic Detection, Vision Assist Package, Wheels: 18 6 Spoke (Style 6006).Odometer is 2782 miles below market average!Clean CARFAX.Santorini Black 2018 Jaguar XE 25t PremiumFor more information please look at our Auto iPacket... it really has so much information or exactly the equipment on every car. Call or email us for any further questions about an unit.. Just give us the stock number when you call  610.436.0600. For more information please look at our Auto iPacket... it really has so much information on the exact equipment on the one you're looking at. Call or email us for any further questions about an unit.. Just give us the stock number when you call  610.436.0600.Bluetooth / Handsfree Calling.Clean CARFAX.Indus Silver 2018 Jaguar XE 20d PrestigeFor more information please look at our Auto iPacket... it really has so much information or exactly the equipment on every car. Call or email us for any further questions about an unit.. Just give us the stock number when you call  610.436.0600. For more information please look at our Auto iPacket... it really has so much information on the exact equipment on the one you're looking at. Call or email us for any further questions about an unit.. Just give us the stock number when you call  610.436.0600.Bluetooth / Handsfree Calling, Adaptive Front Lighting w/Cornering Lamps, Black Hex Console Trim, Black Pack 1, Blind Spot Monitor, Climate Pack, Dual Zone Automatic Climate Control, Front & Rear Parking Sensors w/Rear Parking Camera, Garage Door Opener, Gloss Black Front Grille Surround, Gloss Black Front Splitter & Aero Splitters, Gloss Black Hood Louvers & Mesh, Gloss Black Rear Valance, Gloss Black Side Power Vents & Mesh, Gloss Black Window Surrounds, Heated Front Windshield, Heated Seats, Heated Steering Wheel, Illuminated Door Sill Treadplates, Intelligent High Beams, Interior Black Pack, Power Fold Exterior Door Mirrors w/Auto Dimming, Power Tailgate, Premium & Vision Pack, Reverse Traffic Detection, Valet Mode, Wheels: 18 Vela-Style 10-Spoke Alloy.CARFAX One-Owner. Clean CARFAX.Ammonite Gray Metallic 2016 Jaguar F-TYPEFor more information please look at our Auto iPacket... it really has so much information or exactly the equipment on every car. Call or email us for any further questions about an unit.. Just give us the stock number when you call  610.436.0600. Due to our varied stock of popular pre-owned options, we’re confident that you’ll find a model you love within your budget. Have questions? Feel free to contact us about our used inventory before making your way from Mainline to take a test drive. We’re confident you’ll find the right car for your lifestyle, whether it’s a used Jaguar or a used vehicle of a different make.